"The third grade has a multiplication tournament each year. Each month, starting in January, they have monthly contests in the multi- purpose room. Each teacher chooses three students to compete against the other classes for fluency, speed, and accuracy of their knowledge of the multiplication facts to 12. The students can receive a 1st, 2nd, or 3rd place medal. On May 25th, it was time for all the medal winners to compete for the 1st, 2nd and 3rd place trophies, which they can take home! So all students who won a medal this year competed for those trophies! 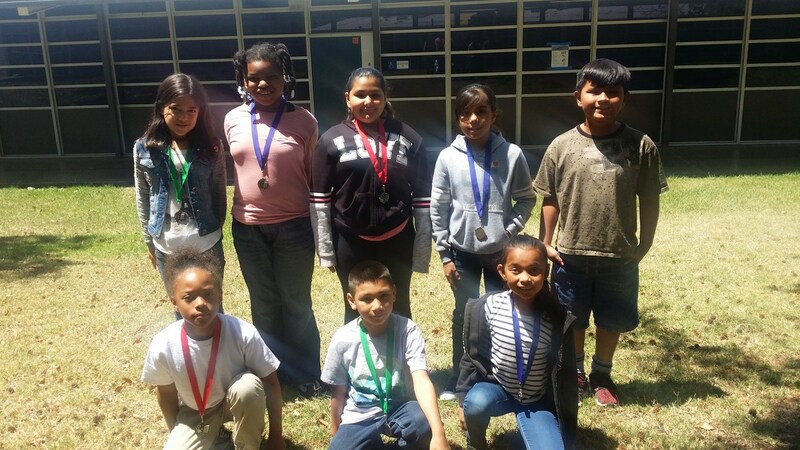 This year Ms. Denison’s students won 8 of the medals in the multiplication tournaments! Each month they won 2 out of the 3 medals! Skyla Stone 3rd place February; Sabrina Warren 1st place April; Vanessa Farias 2nd place January; Aileen Torres 1st place February; Jayden Infante 2nd place March"